In a new episode of the Carpe Diem special ‘(new) masterpiece’ feature, the challenge is to create masterpieces inspired by autumn leaves. Posted in Haiku. Tagged Autumn Leaves, Carpe Diem, Poetry Pantry, Poets United, Quest for a (New) Masterpiece. Lovely image and a wonderful haiku. We both went with leaves in a haiku today. The third line has such magnificent energy and captures the explosion entire! Thank you so much, Brendan, now my cheeks are on fire! What a SPECTACULAR tree! WOW! A poem in itself! The leaves in my world have barely started to turn. Summer is reluctant to give up this year. Great poem, astounding photo! I love the colors… not quite here yet, but there is a promise of blushing. Thank you, Bjorn. It has started already over here! I love the photo…what a great capture. Lovely haiku. 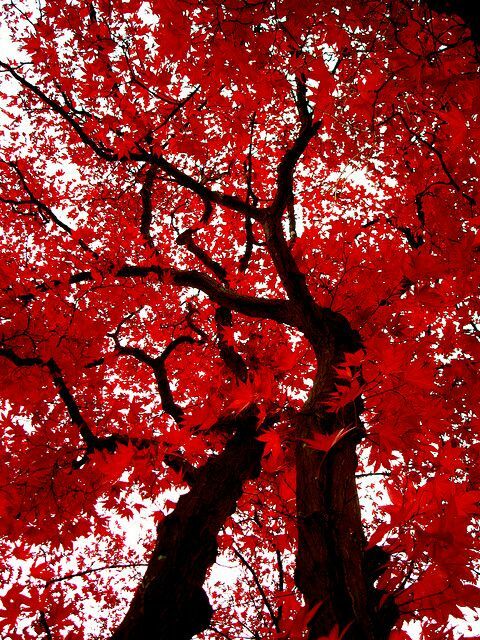 Yes, once a few leaves begin to turn, it isn’t long before the whole tree is ablaze! Visual and nuanced. A ‘resplendent’ nod to the autumn season captured in a stunning little haiku. Whata treat this post and image are for the reader.